Since 1968, Chrysalis: An Alberta Society for Citizens with Disabilities has provided personalized services and support to help adults with developmental disabilities achieve enriched lives as they pursue their personal goals and actively participate in employment and volunteer opportunities and recreational activities. And while we’re excited about our next 50 years, our immediate future includes implementation of a Human Centered Design program that focuses on facilitating our individuals to discover, develop and use their talents to become the best version of themselves. This new evolutionary process ties in with our motto: Change, Growth and Opportunity. Find out more about who we are and what we do at one of our hosted in-house sessions. 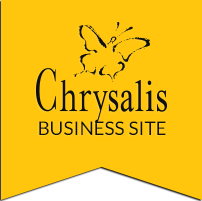 These sessions are to share information about Chrysalis. Questions invited at any time during the session. No monetary donation requests are made, however we may contact you a few days after the tour and ask for your feedback on what was presented. Please contact us if you’d like to attend an upcoming information session. Registration is required to attend and at a minimum of three days before a session. Group sessions and special tours can be also be arranged on other days. Thank you for supporting Chrysalis and our community! !